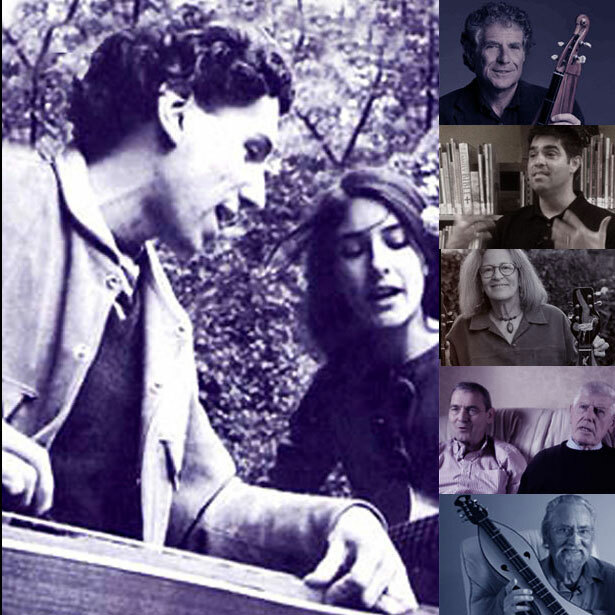 In this episode, we focus on the melodic and rhythmically complex music Fariña created on his dulcimer and explore how his heritage and world travels influenced his music. 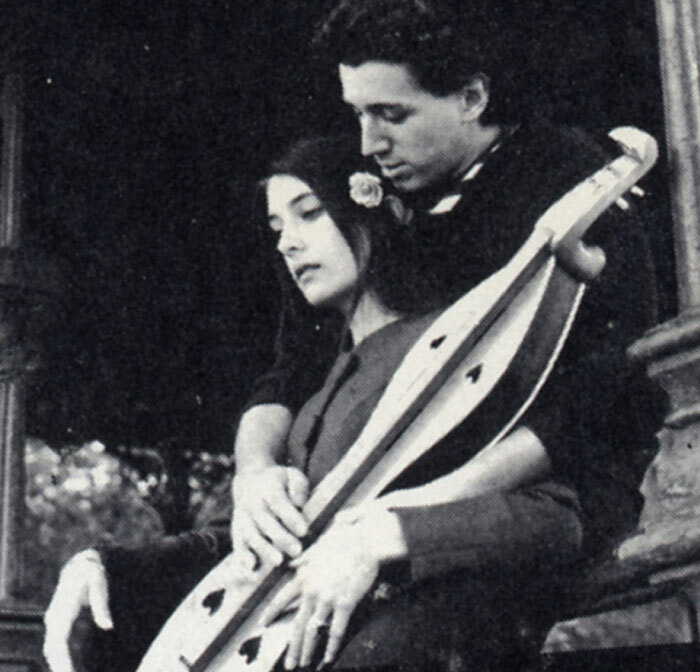 We talk with Fariña’s relatives, people he knew, and two dulcimer players he influenced. We present intimate stories and letters from him to show how his music was ultimately the result of his zest for life. •	Intro music: Road to Santa Cruz performed by Wayne and Patricia. Composed by Wayne. Richmond is playing washtub bass. • Ed Freeman's 1965 WMBR radio interview with Richard and Mimi Fariña in Cambridge, Massachusetts. 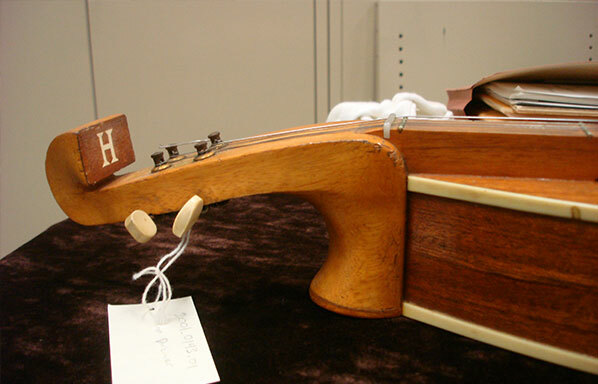 •	Terry Hennessy: Luthier of the Fariña Legend: (This article first appeared in Dulcimer Players News Vol. 25 No. 4, November 1999-January 2000) Written by John Blosser. Richard and Mimi Fariña. Used by permission. 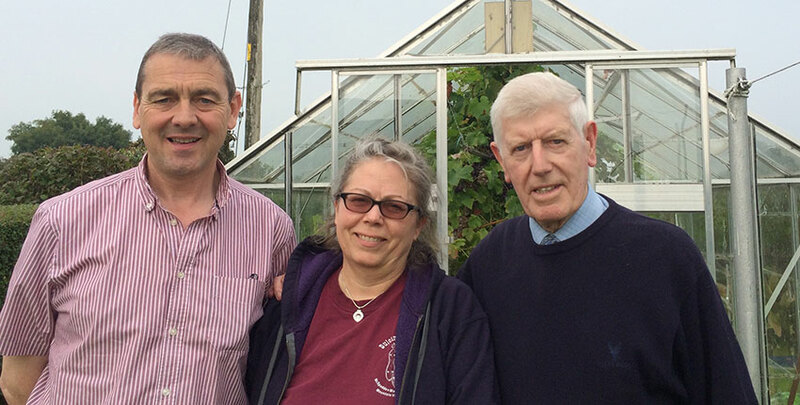 Richard Fariña and his Irish relatives in Moortown, County Tyrone in Northern Ireland. Moortown is the townland where Richard’s mother was born. Richard was probably about 16 in this photo. 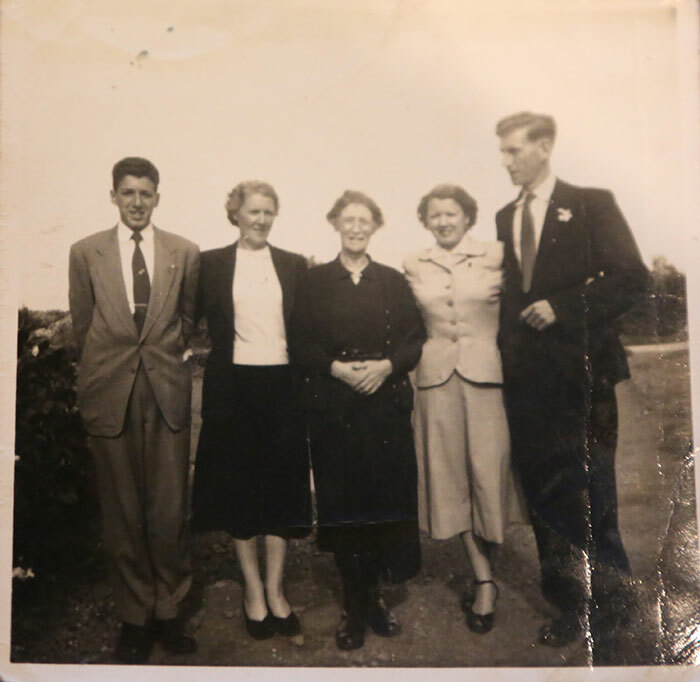 From left to right: Richard Fariña, Richard's Aunt Liz, Richard's grandmother Catherine Crozier, Theresa (Richard’s mother) and Richard’s uncle, Otto Crozier. Courtesy of the Crozier family. Moortown Ceili Band. This picture was taken on Sunday 18th January 1948, all five members were Lough Neagh fishermen. 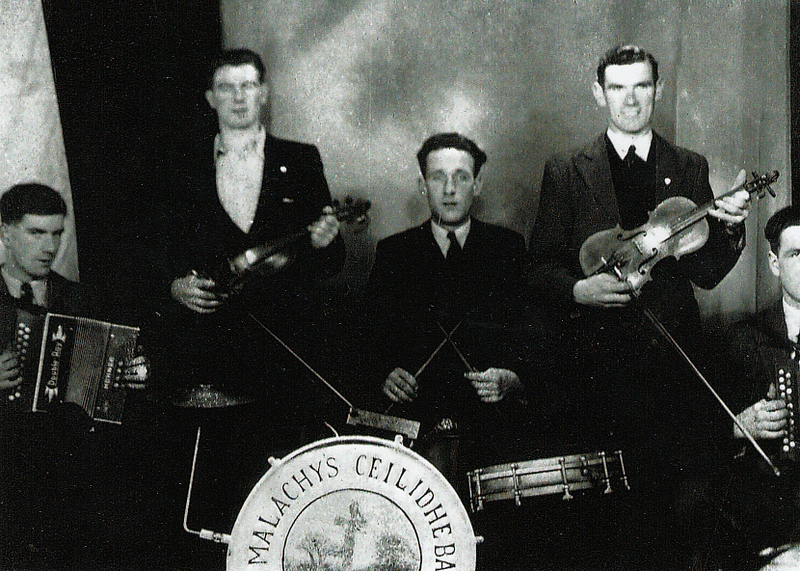 From left to right: Richard’s uncle Otto Crozier holding the accordian, Arthur Ryan, Tommy John Conlon, Richard's uncle George Crozier holding the fiddle, and Hughie Conlon. 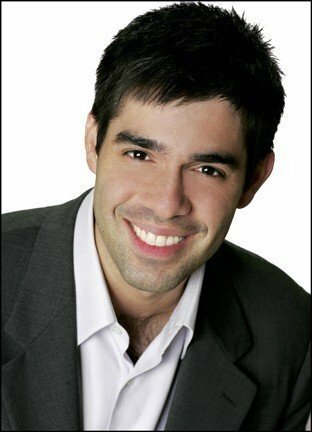 George Crozier is the George that Owenie mentioned in this episode. From left to right: Jim Crozier (Fariña’s cousin), Patricia, and Owenie Crozier (Fariña’s uncle). Taken in Moortown, County Tyrone, in Northern Ireland 2014. Neal Hellman playing Tuileries. For more videos of Neal Hellman playing dulcimer, go to his YouTube channel. 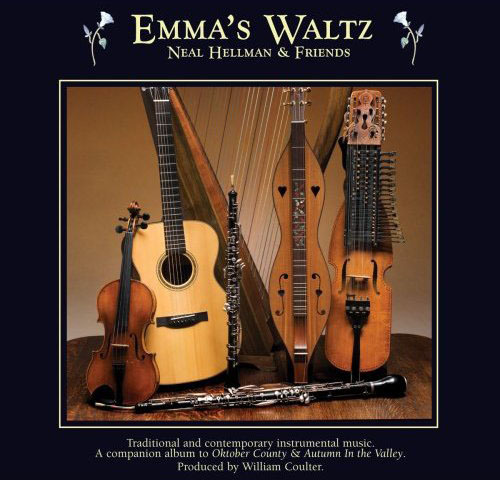 Neal Hellman recorded Tuileries on his 2013 album Emma's Waltz. 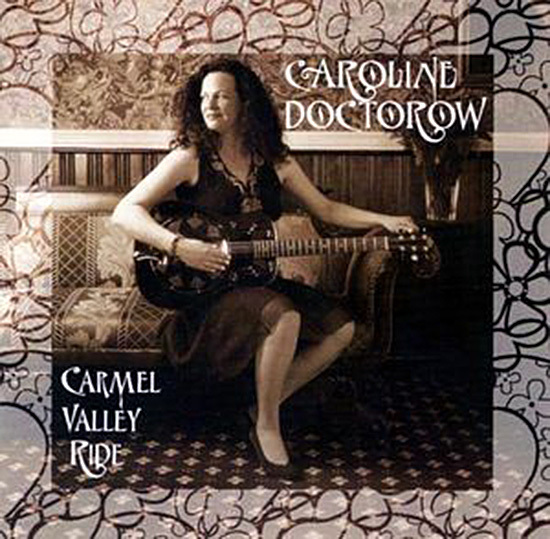 Caroline Doctorow recorded A Swallow Song on her 2003 album Carmel Valley Ride. 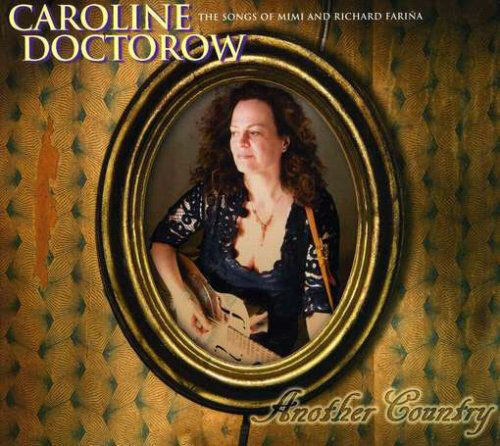 Caroline Doctorow recorded The Quiet Joys of Brotherhood on her 2008 Fariña tribute album Another Country … The Songs of Richard and Mimi Fariña. 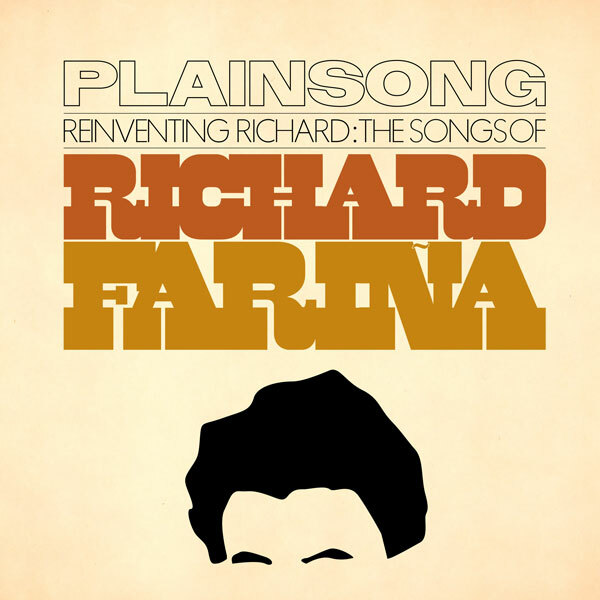 Plainsong recorded Reflections in a Crystal Wind on their 2015 Fariña tribute album Reinventing Richard: The Songs of Richard Fariña. 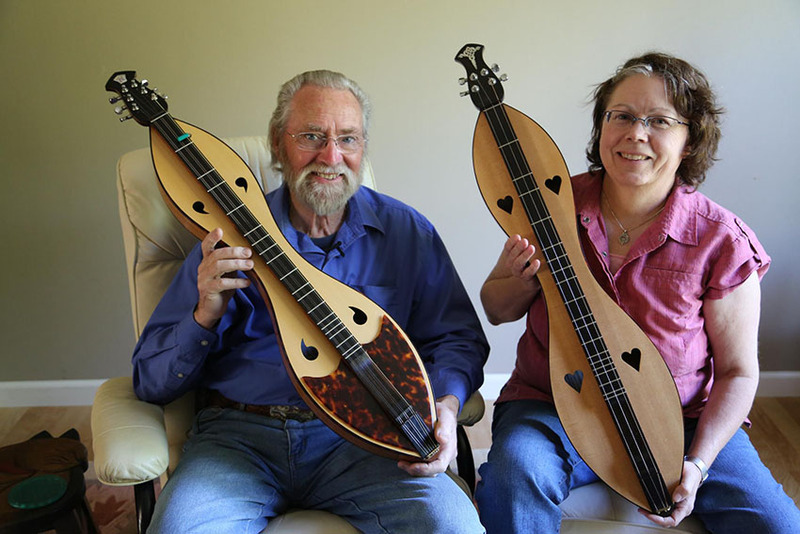 Terry Hennessy holding one of his recent dulcimers. 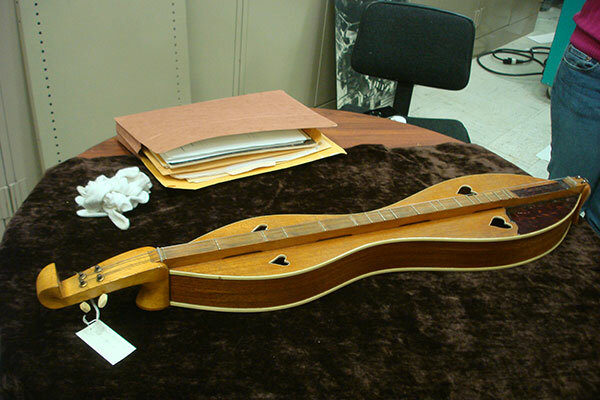 Patricia holding her Celtic dulcimer that Terry made in 2002. Terry visited us in CA in 2013. Omar Lugones giving his 2011 presentation, Remembering Richard Fariña, at the Carmel Valley Library in Carmel, California.